Ladies and gentlemen, welcome to Mobile Strike. You're ready to take command of an elite fighting force that has but one simple goal: to wage war against any and all who dare threaten your way of life, and seize control of their territory. To that end, you must build a central headquarters, discover new technologies, and establish alliances with likeminded commanders. Just remember: it's war out there, and today's friends are tomorrow's enemies. Rome wasn't built in a day, and your empire won't be either. Only by building a strong centralized army will you have any hope of expanding your sphere of influence. Having Arnold Schwarzenegger on your side won't hurt either! Construct a base with all manner of facilities to support your war effort. Train infantry, scouts, machine gunners, demolition experts and more. Manufacture tanks, howitzers and other powerful weapons of war. Build traps and security turrets to defend your base from enemy attacks. Forge alliances with players all over the globe to form a virtual empire. 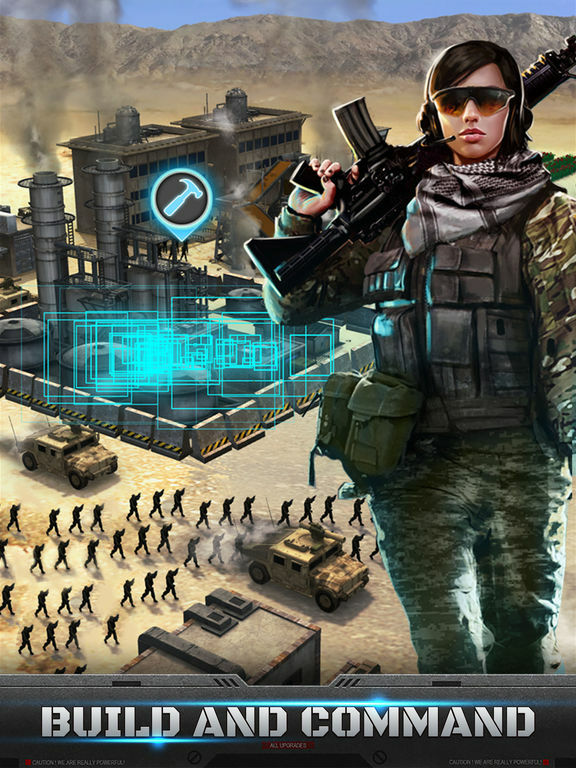 If you yearn to enter the arena of war, test your strategic might against other people, and use every resource at your disposal to build the greatest military you can imagine, then take up your rifle, put on your beret, download Mobile Strike, and experience a new facet of war on your mobile phone today. Go ahead; try kicking a can across the digital space of the internet. Chances are good you'll hit a city-building mobile game. With so many competing for your time, money and internal memory, it can be hard to tell them apart and see which ones are good and which ones are bad. 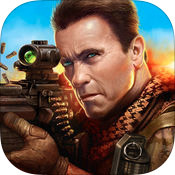 That's the story of Mobile Strike, an app where you build a military base, utilize all kinds of advanced weaponry, and take territory for your given alliance through conquest. However, this one manages to stand out from the crowd in one very distinct way: it has Arnold Schwarzenegger! Sadly, that about sums it up. War-based strategy games are hardly anything new. It's practically what the strategy genre is all about, and it's spawned a lot of classics over the years. Mobile Strike will never be among them for one very simple reason: it's boring. It starts off rough, with a tutorial that just never ends. The first hour or so of gameplay will be spent nodding your head and doing what you're told, building a quarry here, constructing an oil refinery there, upgrading this thing, demolishing that thing, and so on. It's all basic stuff that you've experienced plenty of times before, but you still have to sit through it before you can get to the meat of the game, and not even Schwarzenegger showing you the ropes can make that interesting. However, even when you get out of the tutorial and can start playing the game for real, it doesn't get better. Even though you're presumably leading an army, training troops, and researching new technologies, it never feels like you're ever making any real strategic calls or accomplishing anything. The only thing you're ever doing is navigating through clunky menus, scrolling around a map screen that's cluttered up with notifications, and waiting. You wait for buildings to finish getting constructed, you wait for items to be produced in your factories, and you wait for scientific research to be done. When you're done waiting, you pursue new tasks so that you can wait for those to finish up too! It never ends and there's nothing to do in between the waiting. Even the act of battle is a waiting game. You simply choose your target on the map, send your forces in, and wait for them to march over and sack the place. You don't get to tactically control your troops to conquer the enemy like you can in Clash of Clans; victory, defeat and casualties are all determined simply by how your numbers and the enemies' numbers crunch against one another. This tap-and-wait 'gameplay' is very reminiscent to Game of War: Fire Age, which is kind of sad when you think about it. Mobile Strike is a terribly unoriginal game as it is, but of all the apps it could copy, it had to be that poor excuse for a collection of ones and zeroes. Of course, the waiting isn't there for nothing. Mobile Strike is pretty open about how much it wants you to whip out that credit card, for that's the only real way to see any actual progress. After a while, things just take way too long to build, for which the game is happy enough to give you plenty of ways to lessen its inherent tedium, provided you're willing to pay for the pleasure. You can get things like inventory boosters, stacks of experience, mission reshuffles if the current ones aren't doing it for you, resources you would otherwise have to harvest, and so on. You don't need to buy anything if you don't want to. However, that just means you're going to be a ripe target of conquest for players who have fewer problems throwing their money around. They'll have more troops and better gear at their disposal than you, and when they decide to come knocking, there won't be anything you can do about it. To Mobile Strike's credit, it at least doesn't look that bad. Arnie is really creepy given how ridiculously airbrushed he is, but the rest of the visuals are pretty good for what they are. The base you oversee looks fine; all the buildings appear distinct from one another, and there's plenty of life given to the scene from the people marching around and all the gunships flying overhead. Sadly, none of it's memorable either; it certainly won't be enough to distract you from the fact that your time with the app will be spent doing mundane things like pushing buttons and flipping through menus. Another thing the app is pretty good about is its social tools. Joining an alliance is necessary for any aspiring general, for it allows everyone involved to pool their resources together and coordinate their attacks against other alliances. There's a nice chat option as well that can allow you to talk with all your buddies, which is good since you'll need something to relieve yourself of all the boredom that Mobile Strike has to offer. Theoretically, there's a lot of opportunity to wage what feels like a real war in-game, taking charge of all your flunkies to outmaneuver and outwit an enemy alliance of similar size. However, that's unlikely to happen, and given the app's lame mechanics, it's even less likely you'll have the patience to get that far. 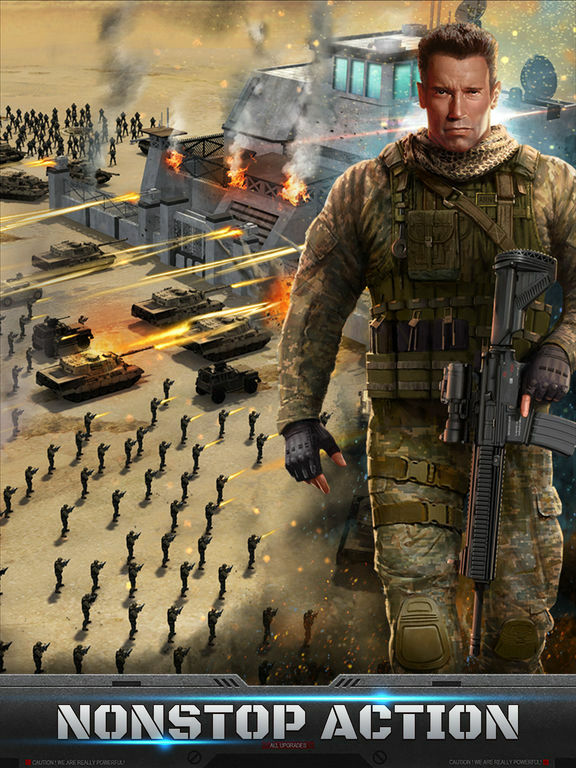 Ultimately, okay graphics and decent social networking tools aren't enough to elevate Mobile Strike over the level of uninspired mediocrity it wallows in. The game is boring, shallow, unoriginal, and merely exists to trick you out of your hard-earned cash. Just skip it.